If you have plans to retire within the next several years, consider swooping up your future retirement home now, while bargains can still be found and mortgage rates remain low. Financial experts agree: Investing in your retirement home years before leaving the workforce can be beneficial. Their advice? Accurately crunch the numbers to ensure you are able to afford to buy another home right now. At Maximum Lending, our expert licensed loan officers can guide you through the available options for purchasing not only a second home, but your dream retirement home. This includes looking at your finances and getting you pre-approved. The pre-approval process allows you to shop for a retirement home with confidence as you will be one step ahead of the competition. 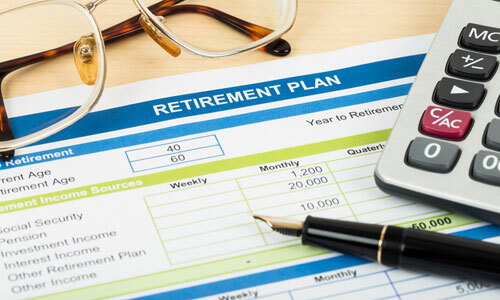 Whether your retirement plans including living close to the beach, in the mountains or in a state with a year-round warm climate, buying your retirement now – years before departing the workforce – can prove to be quite advantageous. In today’s housing market, you will find record low mortgage rates and low home prices. If you delay buying your retirement home, your dream may be out of reach. At Maximum Lending, our customized loan packages are tailored specifically to meet your needs, thus ensuring your options for purchasing a retirement home are expanded. Contact one of our expert loan officers today to learn more about how Maximum Lending can help you fund your dream retirement home – years before you leave the workforce. There are many mortgage options available for retirees. You can count on us to help you find the best loan, with a great rate, that’s right for you! With a reverse mortgage, seniors 62 years of age or older, have a valuable tool available to them. A reverse mortgage allows you to convert the equity in your primary residence into cash. The refinancing option uses a portion of your home’s equity as collateral, giving you the freedom to supplement your retirement income, without incurring monthly expenses. The purchase option, on the other hand, eliminates the monthly mortgage payment thus helping you preserve cash flow.